Light rain is expected in San Diego County on Friday morning before a low-pressure system leaves the region and makes way for yet another storm system set to sweep into Southern California by the end of this weekend. A slight chance of scattered showers will remain until late this morning then dry weather is expected through Saturday night, National Weather Service forecasters said. 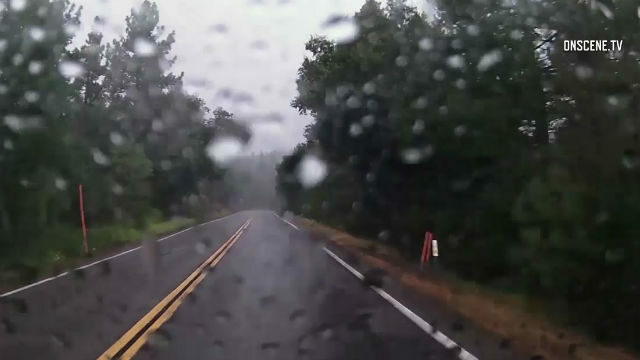 As of 3 a.m., Birch Hill had received the most precipitation over the past three days, with 0.93 of an inch, followed by 0.91 in Pine Hills; 0.88 in the Palomar area; 0.80 on Mount Laguna and in Mesa Grande; 0.78 in Julian; 0.76 near Lake Cuyamaca; 0.75 in Skyline Ranch and 0.71 in Santa Ysabel, according to the weather service. Snow levels will drop to around 4,000 feet Friday, and the weather service issued a winter weather advisory for the mountains that will last until 10 p.m. Friday. Officials warned that snow on the roads could leave to dangerous driving conditions. A wind advisory remains was also in effect until 8 p.m. Friday for the mountains.